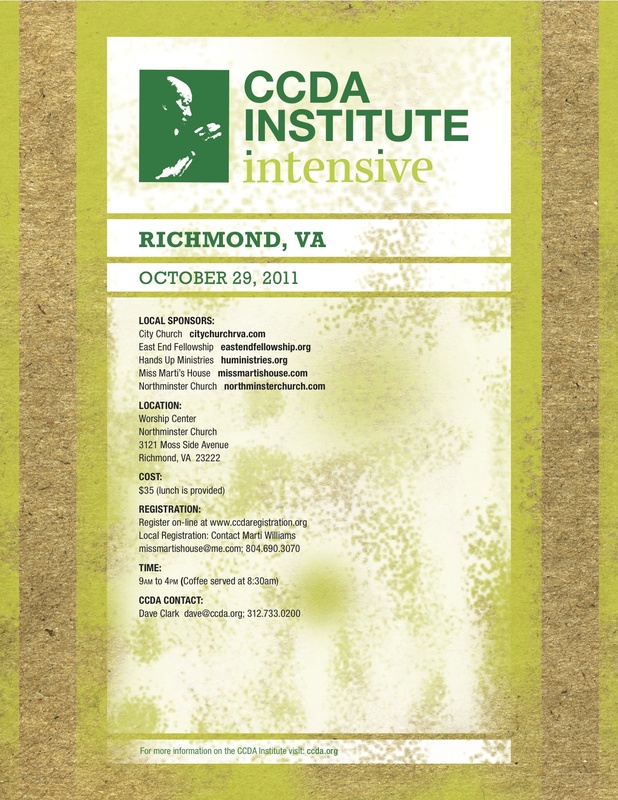 CCDA Institute is coming to Richmond! Noel Castellanos, CEO of CCDA is coming to discuss Church-Based Community Development. See the attached flyer for details. 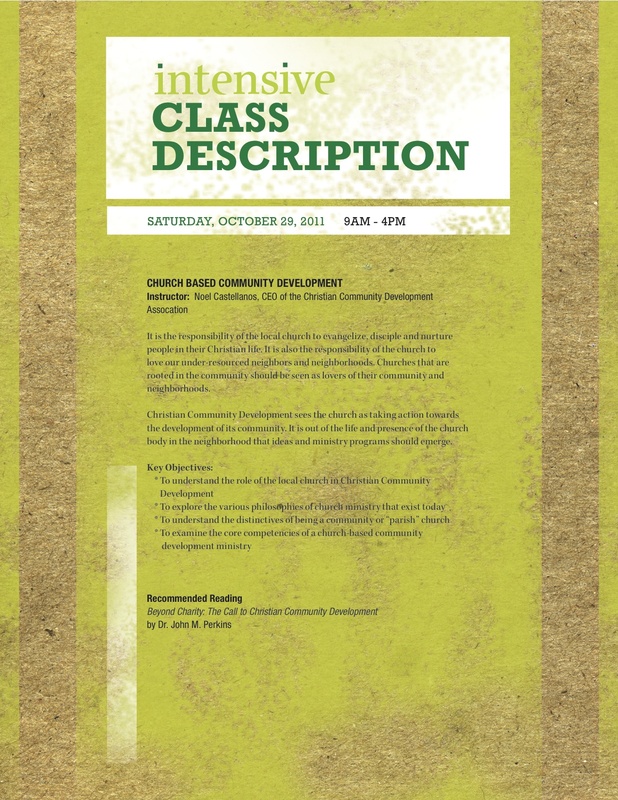 If you want to print the flyer, click here: CCDA Church Based Flyer – 10.29.2011. Be sure to register early!!! Click here to register > REGISTER HERE! If you would like to become a member, see this link….Membership. If you missed the gathering and would like to receive the materials or a copy of the CD, please contact me and we will make arrangements to get them to you. If you are interested in helping us plan, communicate and organize these trainings or other networking opportunities, please contact me as well. Thanks! Special shout-out to East End Fellowship and Making a Melody for co-hosting with Miss Marti’s House. And huge thanks to Northminster Church for allowing us to use their space! Just a quick reminder: CCDA Cafe tomorrow, Wednesday, June 30 at 6:30p. Hope to see you there! Please RSVP if you plan to attend. Thanks! Due to an unexpected response, we have obtained a larger location. What a wonderful problem to solve! I could not be more thrilled. Thanks to Northminster for letting us use your space! New .pdf is located below. 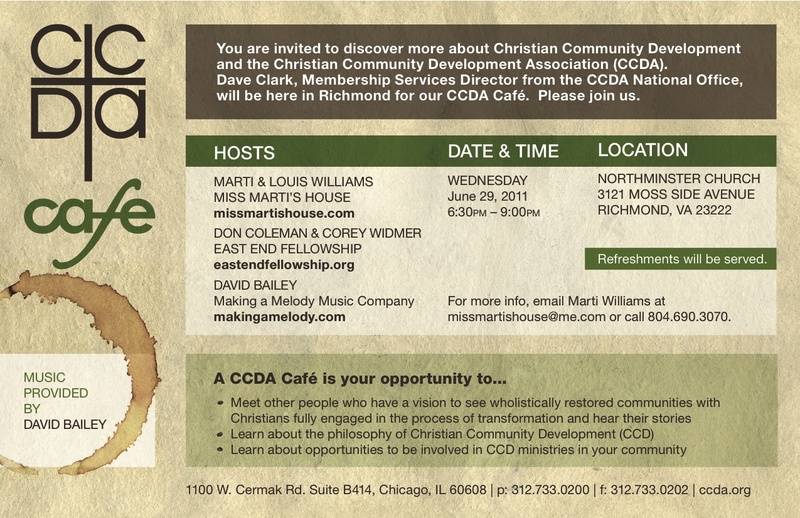 If you want this doc in a .pdf format, check this link – CCDA Cafe Richmond Flyer – New Location.